Summer into fall. Long bloom period. Well-drained soil, especially sands. Very drought tolerant. Mixed beds and native plantings. Dried flowers. Easy in a well-drained, sunny site. Larvae food for Painted Lady butterflies. 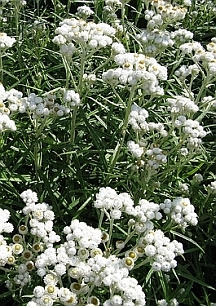 Can be sheared to the ground after flowering for tidiness.